Mackler - Joelle Delbourgo Associates, Inc.
It’s a message that we hear every day in movies, in novels, and on television: being alone means being incomplete. It is no surprise then, that many find themselves settling into an unsatisfying relationship just so that they will be part of a couple, while others pine for someone who will rescue them from their singledom. 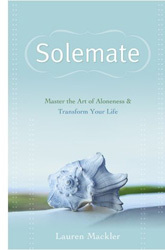 Coach and keynote speaker Lauren Mackler provides a welcome counterpoint in her new book, Solemate: Master the Art of Aloneness and Transform Your Life, which shows people how to become their own “solemate” so that their lives will be rich, whatever their relationship status. It’s a message with a big audience. Today 43 percent of American adults are single and 1 in 4 households consist of someone living alone. Similar trends exist in Europe as well. Mackler draws on her personal experiences, as well as psychology, physiology, sociology, holistic healing and more to offer readers a strategy for forging a new relationship with themselves. This includes looking back at their childhood and how their family dynamics shaped who they are and how they react to the world—a “conditioned self” in lieu of their “authentic self.” By breaking these patterns, readers can determine what they really want from their lives and plan the steps they need to take to get there. Lauren Mackler’s previous book was Speaking of Success, co-authored with Jack Canfield, Stephen Covey, and Ken Blanchard. 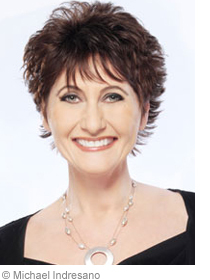 In 2001, she created the coaching firm, Lauren Mackler & Associates. She is the host of the Life Keys radio show every Monday at noon to 1 pm ET on www.contacttalkradio.com, a CNN media expert, a blogger for the Huffington Post, and has been interviewed by The Wall Street Journal, Marie Claire, Ladies Home Journal and many more. Lauren Mackler lives in Boston and can be found on the Web at www.laurenmackler.com.